A nationwide class action claims that Mylan NV coerced consumers into buying two-packs of EpiPens at wildly exaggerated prices. A federal judge in Kansas yesterday named three lawyers to manage the lawsuit. Mylan, the U.S. distributor of EpiPens, was vilified last year after raising the price of its life-saving product from $100 in 2008 to more than $600 by 2016. 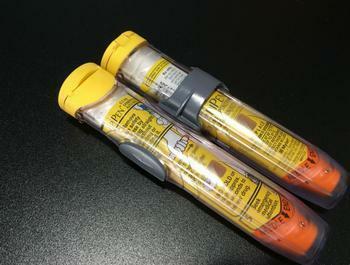 EpiPens offer a life-saving dose of epinephrine (adrenaline) to children and adults suffering acute allergic reactions. Congress and federal agencies have since opened investigations into EpiPen pricing. The lawsuit argues that Mylan also used patent lawsuits and administrative actions to delay the entry of competitors that might have undercut its prices. The plaintiffs claim those actions violate state antitrust and consumer protection laws, as well as the federal RICO racketeering statute. Mylan and other defendants have filed a motion to dismiss the plaintiffs’ suit. Burns expects the court to decide on that motion by July, potentially leading to discovery this summer into Mylan’s secret pricing practices and decisions.